May 22, 2014 Adding this article from The Guardian Call of Duty: Advanced Warfare; a non-gamer’s guide and Jinny Gudmundsen’s Common Sense Media’s post, “10 Most Violent Video Games and 10+ Alternatives as it’s important to reinforce that Memorial Day is about honoring the fallen in “RL” (real life) vs on a leader board. Original Post: June 1, 2010 Whether it’s top-selling videogames (Call of Duty, Modern Warfare2, Gears of War, Halo franchise, etc) or combat’s media depiction in film, The War Play Dilemma has sent plenty of verbal bullets flinging among families about play, purchase and policies when it comes to violence, particularly post-911 with real troops on the ground in this reality show called life. “No guns, please,” I’ve heard many parents declare on birthday invitations. “Not even super soakers?” another implores. And thus the judgmental eye rolling begins. Huffington Post uncorked the violent video game controversy once again a couple of days ago in this post “Violent Video Games Touted as Learning Tool” which has been batted around the media sphere in “does it or doesn’t it” rhetoric as explosive among academics, gamers, parents, youth, and simulation scientists akin to a ‘Mortal Kombat’ siege. This post is geared toward how we can USE MEDIA TO COMBAT unrealistic portrayals of war, suffering, and human rights abominations to arm very young kids early on with media literacy. In essence, the desire (need?) to create a ‘kinder gentler’ nation of human beings universally, without ‘games of war’ even IN the conversation other than giving context to this very sobering infographic via Online MBA that reveals gaming stats of this $15 billion industry. Yes, it deserves a deep dive analysis post in itself. Just. Not. Today. 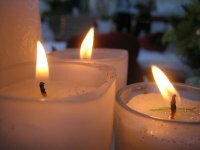 I also want to add a very personal moment from our ‘triple flame candle’ ceremony dockside that cut through the media clutter of what Memorial Day is all about. Why? Because if media and marketing are cashing in on 20 million players racking up 17 BILLION hours, the least I can do is put the focus on what WE AS PARENTS and EDUCATORS can do to add context and counter-marketing into the mix a smidge in an attempt to embed some media literacy. So here goes…MY Memorial Day media mashup to REsensitize children to the realities of the ultimate sacrifice of war. Unlike me, none of these kids were raised as military dependents, so frankly, I wasn’t sure how this ritual would land on them. My three flames were lit for my career Navy intell dad, my Annapolis-turned UCSB Department of Peace eco-youth activist bro, and my former Vietnam draftee serving stateside as an army medic spouse, just to give you a feel for ‘range’ in one family snapshot…Needless to say, “It’s Complicated” and clearly not about ‘first person shooters’ in videogames. My godkids got to see a side of their “Uncle Gar” they never really understood this past weekend on our dock, when he pulled a tracing of a name of a popular teen from his high school who never came home, and shared a poignant story of his OWN visit to the Wall to see his peer memorialized decades later. Let’s just say the flame ceremony was not lost upon them. At. All. 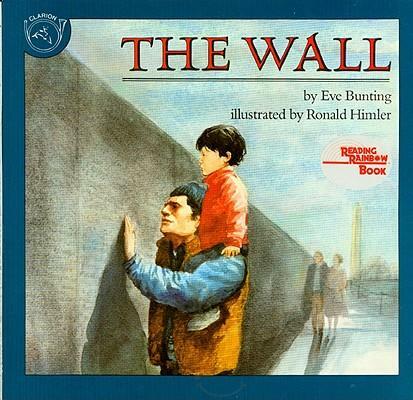 Awash in muted tones and beautifully illustrated, The Wall isn’t a preachy ‘downer’ it’s a bittersweet tale of a father/son visit to the Vietnam Veterans Memorial in Washington D.C. to see the name and take a tracing of this grandfather he never knew. I’ll admit, I wasn’t quite prepped for our own quivering lipped poignancy this past weekend with the preteen godkids being exposed to such ‘up close and personal’ stories…In younger years it might have constituted ‘over-sharing’…but now that they’re old enough to really ‘get it’ now, I think it helped prepare them for every “Dude, don’t be such a wuss, blow their heads off” MMORPG moment (multiplayer online role play games) and sophisticated siege encounter if they go that route (or if they haven’t already). Yes, I know, many shrug off the pretend play as not much more than flinging pine cone ‘grenades’ at one another or aiming sticks in squint and scope targeting of combat make believe. I bought the book at the fabulous “Reach and Teach” site run by friends of mine who source all kinds of excellent media musts, and who I readily applaud for opening all kinds of human rights conversations to help those of us striving for a healthier view of media’s role in portraying peace and social justice. 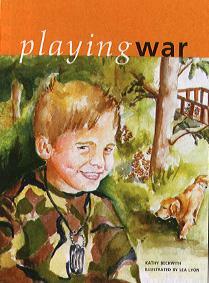 The picture book is called Playing War by Kathy Beckwith which ‘boldly goes where no one has gone before’ in peeling back layers of conversation with compassion, candor and ‘kid-speak’ without even a whiff of politics and stilted rhetoric. It’s a simple tale about kids “playing war” outdoors (yah, I know, a 21st century rarity in itself) with all the basics of team play/laser tag or any standard snowball fight, like storming up ‘ammo,’ strategizing ambushes, and ‘us vs. them’ thinking. The author does a great job of capturing kid culture in terms of how they handle discomfort (like when he ‘has to leave early’ suddenly, or how they play basketball to diffuse the dialog into matter of factness, finally setting the ball down to begrudgingly ‘spill it’ after dodging it altogether for months) plus I love the subtle ending, which again seems very authentic instead of a crescendo of melodrama, like a bad reality show. 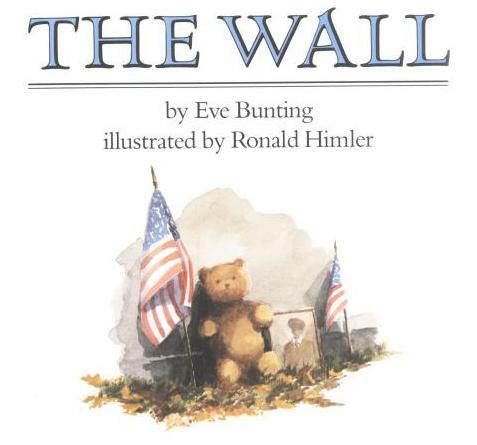 Books where children are thoughtful decision makers in control of the conversation not ‘dumbed down’ into stereotypes, gender ‘reactions’ and characters used as propaganda to further an author’s own agenda will always get my thumbs up…and Playing War accomplishes this well. 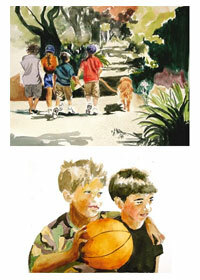 Don’t miss the pbs documentary, “Where Do the Children Play” which adds the whole indoor vs. outdoor element to summer play, explaining how the ‘war play’ dilemma often applies to our own urban streets, devolving community into ‘transporting’ children rather than letting them roam as “Free Range Kids” as author Lenore Skenazy readily depicts in her work. the one hour documentary directly for your own uses too. What Will Kids Learn About the Murder of Dr. George Tiller & From Who? What Do You Say to Children About Headline News? p.s. I’d love to hear your thoughts on ‘the war play dilemma’ in your own home if there IS one, so leave a comment below or find me on Twitter @ShapingYouth. Sorry, that sounded terribly violent, but talk about inciting warfare among parents…sheesh. Gloves off. .-= Amy Jussel´s last blog ..Summer Fun & The War Play Dilemma (+Online Gaming Stats) =-. This is true. I wanted to help educate other people on the impact of gaming and how it can be good too. Almost everyone these days plays a role completely different from their real life selves and it’s becoming a problem already.In this sense, social games we see on the internet have been exploited for ill purposes. I’ve been thinking of writing up an article about the importance of parents playing video games with their children to supervise children’s gaming habits and what games they play. I actually made an initial post about it on my blog (it’s at http://gamesandgadgetz.com) to see if visitors would find it useful or not. I made my blog to also inform people that video games is not bad. If you could suggest a story to write concerning such an issue I would be glad to write about it on my blog.